Good news for Indian students who would like to study in Britain. 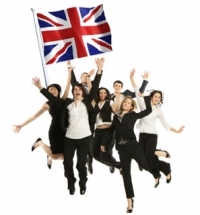 The winning party of British politics, the SNP (Scottish National Party) tsunami would bring a great cheer among Indian students who would like to study in the UK. According to the SNP party, India is a priority nation and the party’s main agenda is to get Indian students back to Scottish university campuses. The party has clearly announced the re-launch of post study, work visa for Indian students as a priority by allowing them to work at least for a period of two years after completing their studies in Scotland. The SNP said that universities in Scotland experienced a considerable, increasing decline in the registration of students from key overseas markets. Thus, it feels that the existing four months time given to overseas students at the end of their studies is inadequate to find employment and to transfer to a Tier 2 visa. Therefore, the UK would seek to re-launch the post study, work visa so that international students can seek a job and make a contribution to the country’s economy. This move would assist international students to Scotland, who add vast benefit to the culture as well as academic life of Scottish universities, but also donate economically through their fees as well as spending in local economies. Apparently, by 2024, one in each three outbound higher education students from all over the globe is likely to be from China and India. By 2024, it is estimated that there would be 3.85 million outbound higher education students internationally. India as well as China contributes 35% of international growth during this period. The second largest group i.e. 3.76 lakh Indian students travelling to enroll in abroad universities.